Students who have signed up to take the exam on Nov. 4 in the Brooklyn Diocese (or Nov. 3 in the Archdiocese of New York) will be asked to fill in their prospective schools’ TACHS numbers on their examination sheets. Only three choices are allowed. Parents/guardians must sign the admit form to indicate their agreement or consent with the high school choices before the start of the exam. 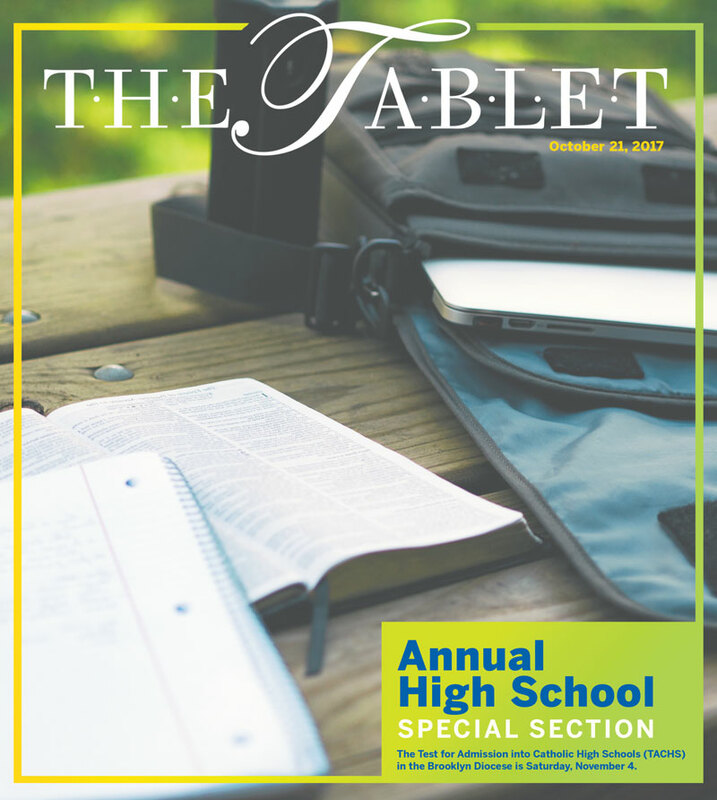 The Tablet has invited local Catholic high schools to participate in this special section to help prospective high school students and their families be aware of their options and make a final decision. Sixteen high schools in the boroughs of Brooklyn, Queens and Manhattan are highlighted below. Families of eighth-graders who are planning to take the TACHS exam (and even seventh graders who will be taking it next year) should read through each school’s profile, including academic, spiritual and extracurricular offerings, and carefully consider the best fit for their child for the next four years. For those taking the TACHS, keep in mind that on the day of the exam the test will be administered at 9 a.m. sharp. Students should try to get a good night’s sleep, eat breakfast and arrive at their assigned test site by 8:15 a.m. The TACHS exam measures academic achievement in reading, written expression and mathematics, along with a section on general reasoning abilities. Practice questions are available at www.tachsinfo.com. The test ends around 12 p.m. The exam lasts approximately two hours with time for directions and pauses between the subtests. There are no scheduled breaks. Students must bring two sharpened No. 2 pencils with erasers, their Admit Card and a form of identification (Student ID or a library card) to the testing site. Students are not allowed to have electronic or battery-operated devices (calculators, watches or cells phones), scratch paper, food and beverages.